What does diabetic foot pain feel like? What does diabetic foot pain feel like? Cakes and ice cream are like slices and bits of heaven. Growing up, people, especially the sweet-tooth, find comfort and satisfaction from our favorite sweets and treats. These sugar-filled foods and drinks are some of the reasons why we love life and living. But, these are also the foods that we have to be careful about when we want to be diabetes-free. This does not mean, however, that only sweets can cause diabetes as it can be a product of varied reasons. In the National Diabetes Statistics Report released in 2014, it was stated that as of the year 2012, about 29.1 million people in America alone had diabetes of which only 21 million were diagnosed. At least 200,000 cases of diagnosed Americans were under 20 years of age young. About 1.4 million Americans are diagnosed with diabetes every year. Diabetes is considered as the 7th leading cause of death in the United States. Diabetes leads to other complications that affect our overall health and wellness. One of the more common complaints by people suffering from diabetes is the diabetic foot pain. It is one of the top reasons of the enormous number of people who complain about foot pain. With the figures of people who are diagnosed, and including those who are yet to be diagnosed, it is just important to look into the diabetic foot pain of this ailment. So what does diabetic foot pain feel like? This is just among the questions that we will raise and answer in this article. 1 What is diabetic foot pain and how does diabetes cause foot pain? 2 What are the possible foot problems that engender pain by reason of diabetes? 2.1 - Peripheral nerve damage. 2.2 - Peripheral artery damage. 2.4 - Corn and calluses. 3 How to treat diabetic foot pain? What is diabetic foot pain and how does diabetes cause foot pain? Diabetic foot pain, in general, is the discomfort or pain to the feet caused by diabetes. As we know, there are two types of diabetes- the type 1 and type 2 diabetes. In Type 1 diabetes, there is lack of insulin by reason of the destruction of the beta cells, that which produce insulin, in the pancreas. Type 2 diabetes, on the other hand, is present when there is insulin resistance as where the body does not use insulin effectively. Regardless of the type of diabetes, it is of common knowledge that such ailment may bring out a foot problem involving discomfort and pain. So how does diabetes cause foot pain? Both type 1 and type 2 diabetes cause damage to the peripheral nerves and blood vessels in the legs and feet. Too much of glucose can lead to damage of the nerves and blood flow, thereby causing pain. What are the possible foot problems that engender pain by reason of diabetes? One of the main conditions that bring about pain by reason of diabetes is the nerve damage or otherwise called as peripheral nerve damage (PND). When nerves are damages, they stop sending signal or they may send slowly. In some cases, you may not feel the sore, but once it is infected and your blood glucose is high, the excess will feed the infection and get even worse. A large portion of the pain complained by patients is because of sensory neuropathy, which means that the extent of pain is not proportional to whatever is causing it. The pain could range from tingling to stabbing and burning pain. It could also be motor neuropathy where the muscles weaken and achy resulting to walking imbalance. Another common condition that yields to diabetic foot pain is the peripheral artery damage where there is hardening of the arteries resulting to poor blood flow to the legs and feet. Lack of blood or improper blood flow makes it difficult for the sore or infection to heal and recover. The decreased delivery of oxygen down to the feet and legs can result to gangrene where the skin and tissue die. Because of the changes in a diabetic person’s nutritional and medical make up, he or she is more prone to any fungal infection. Foot infections are visible and apparent in some areas of the foot which were injured or irritated. The affected area is tender, swollen, and there is warmth and redness. While others experience numbness in diabetes, they can feel pain when the foot is infected. Fungal infections may be in the form of fungal toenails or athlete’s foot. Another common occurrence when there is diabetic foot pain is the formation of corn and calluses. These are thick layers of skin which can be painful as a result of excessive rubbing and pressure. They may likewise develop when there is misalignment of the feet. The angling of the big toe towards the adjacent toe creating a bump at the outside edge of the former. The bunion may be irritated, hence the discomfort and pain. Moreover, when it gets worse, it is filled with fluid and extra bone. Bunion is a result of constantly wearing ill-fitting or narrow-pointed shoes. How to treat diabetic foot pain? - Over-the-counter medications are available to immediately ease the pain especially when it triggers. There are diabetic foot cream and other painkillers that you can apply or take to alleviate the discomfort or pain. 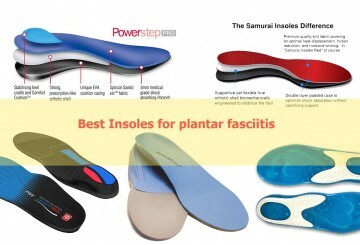 - Wearing well-fitting and appropriate footwear will ease the discomfort and prevent such pain. There are foot supports that you can use to double the prevention. - Avoid food or drinks that cause extreme fluctuation in blood glucose. Thus, it is advised to maintain a healthy diet. - While there is no medical support or confirmation to this, many experts suggest the use of flaxseed oil, sesame oil, tea tree oil, garlic, galberry root, and grape seed extract. Now you know What does diabetic foot pain feel like. Diabetes is a serious health condition that is why it requires proper diagnosis. Determining what foot problem exists along with it is important to likewise identify the proper measures to perform for the purposes of treatment and recovery. Nevertheless, there are alternative ways or self-help tips anyone can do to ease the pain.